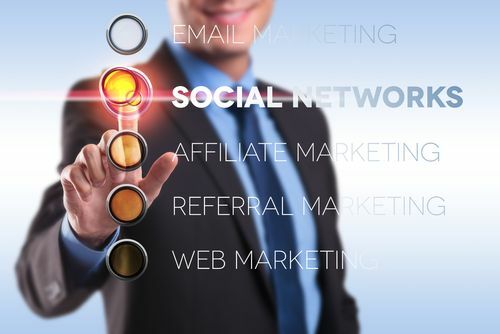 Building a referral marketing plan will help you with your new-customer acquisition goals while also providing loyalty-building bonuses to the existing clients who make the referrals. When customers buy from you, they’re most often buying a solution to a problem rather than purchasing a specific product or service. A plumbing service, for example, relieves the problem of clogged drains. When you provide an excellent experience, customers are likely to be grateful for the solution you’ve provided. In turn, your happy and satisfied customers will want to share their good experiences with friends and family members. All referral systems work best when coupled with a reward or incentive, such as a discount coupon or exclusive bonus for both the customer and referral. Passive referral systems – Here you do little to encourage a referral from a customer beyond providing outstanding service and products. If what you offer is superior, customers will naturally want to help out the people they care for by encouraging them to come to you for an equally high-quality experience. Proactive referral systems – In a proactive system, you take the responsibility for contacting the leads provided by your existing customer. Your approach to the leads must not be intrusive or annoying; otherwise you risk losing business from both the existing customer and the referral. Approach the situation as though you’re sharing a beneficial product or service on behalf of the person who made the referral. Graduated referral systems – Graduated systems ask customers for more than one referral. They’ll receive an incremental bonus for each referral who also becomes a customer. For example, the first referral may result in a 20 percent discount coupon, while second referrals could bring the discount up to 35 percent, third up to 50 percent, and so on. Do you have a referral marketing plan that will reward your existing clients and entice referrals to give your products and services a try? Pingback: Are You Lacking in Referrals? Get in the Head of Your Clients | Continuity Programs Inc.